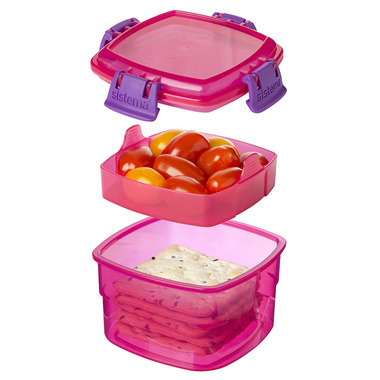 Easy locking clips and flexible seal helps keep food fresh. Keep food separated until ready to eat from the base container. Bought this for my 4 year old however I have been using it! I love the tray at the top and the latches are easy for my 4 year old to open. 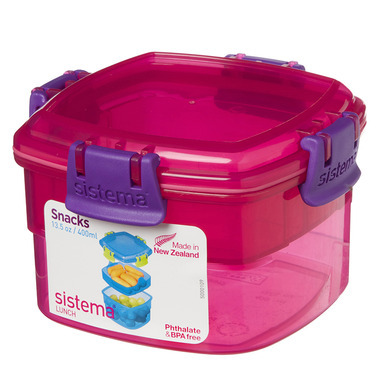 Great snack container.